Google has started rolling out new February 2019 software update to both Pixel 3 and Pixel 3 XL smartphones. With the following instructions, users can flash the update immediately using fastboot utility. Seeing how Google is committed to new software updates each month, it is seldom the case that these builds get packed with feature additions. However, there always new security improvements and bug fixes making them equally important. To install February 2019 factory image on your smartphone — Pixel 3 or 3 XL — without waiting for OTA package to arrive, users can implement the manual procedure ahead. The benefits that come with updating manually include the fact that this process can be implemented on any Pixel 3 / Pixel 3 XL smartphone regardless it is running root, a custom ROM or any other system modification. For the installation process, we will make use of ADB and fastboot tools to flash official factory image. Apart from the time required to download the firmware itself, the update process doesn’t take more than 10 minutes. Before beginning with all the steps involved to update Pixel 3 or Pixel 3 XL to Android 9.0 Pie February 2019 firmware, we recommend you take a complete backup. 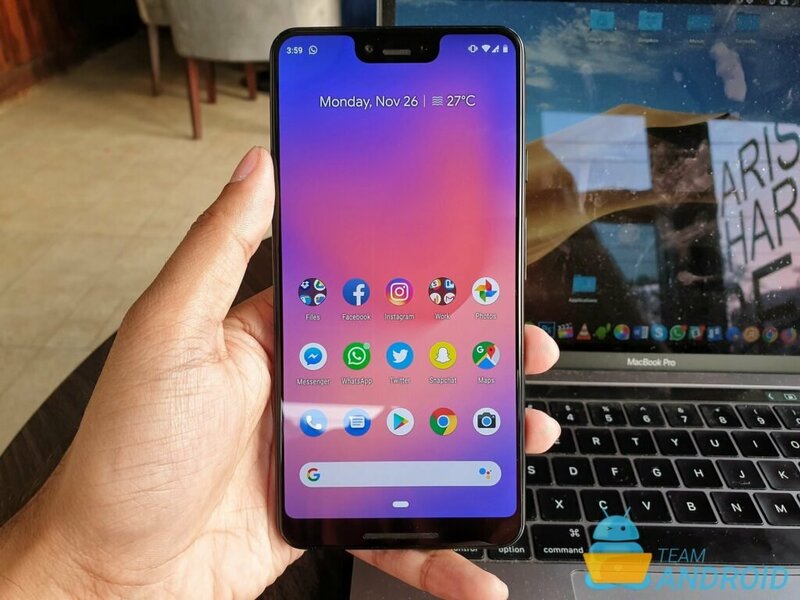 Root Tutorial: How to Root Pixel 3 on Android 9.0 Pie February 2019 Official Update. Custom ROMs: For the complete collection of Marshmallow based ROMs for the Pixel 3, visit our Custom ROMs page. If you plan on rooting this phone or are still confused for why to root Pixel 3, read: Benefits of Rooting Your Android Device. Download Google Pixel 3 / Pixel 3 XL USB drivers! All set and ready? Good. You can now continue reading below and update your Google Pixel 3 / Pixel 3 XL to February 2019 Android 9.0 Pie factory image. We have put together a detailed step-by-step instructions guide on how to install the official Android 9.0 Pie (February 2019) on Pixel 3 using the factory image provided by Google. This tutorial is for beginners who are not used to playing around with official factory images by Google for their Nexus devices. Disclaimer: Try this on your own risk. We are not responsible if you mess up with your Pixel 3. This tutorial is only for Google Pixel 3 / Pixel 3 XL and we are not sure if it will work on the other variants of the Pixel 3 on other carriers. Step 1 – Download February 2019 Oreo Factory Image for your Pixel 3 or Pixel 3 XL on your PC, if you haven’t already. Step 2 – Connect your Pixel 3 to your computer using the USB cable.